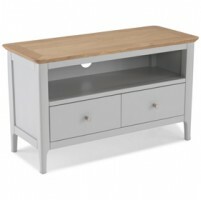 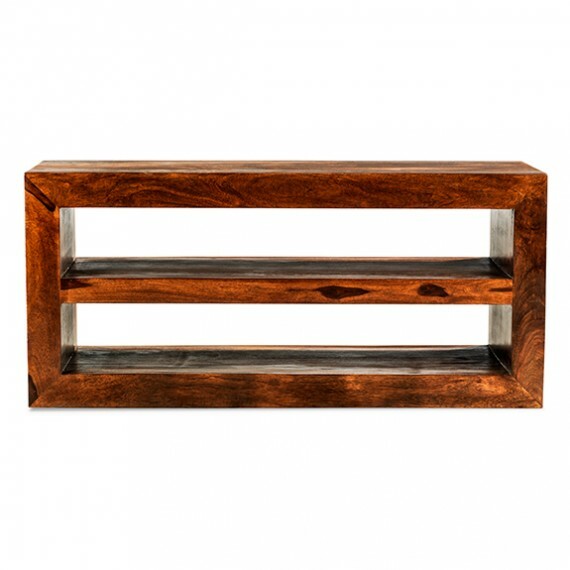 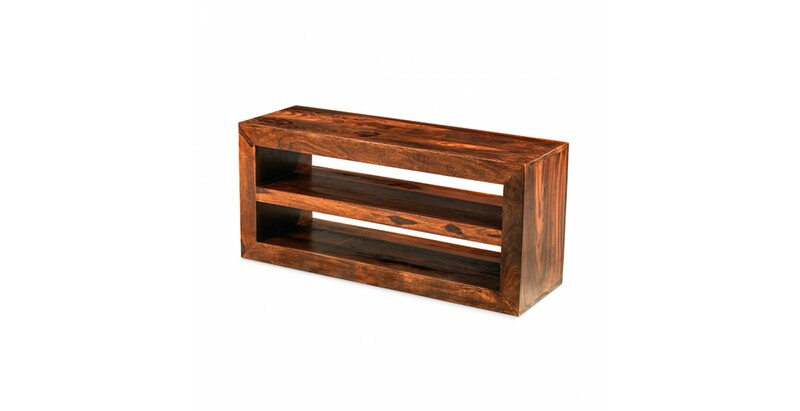 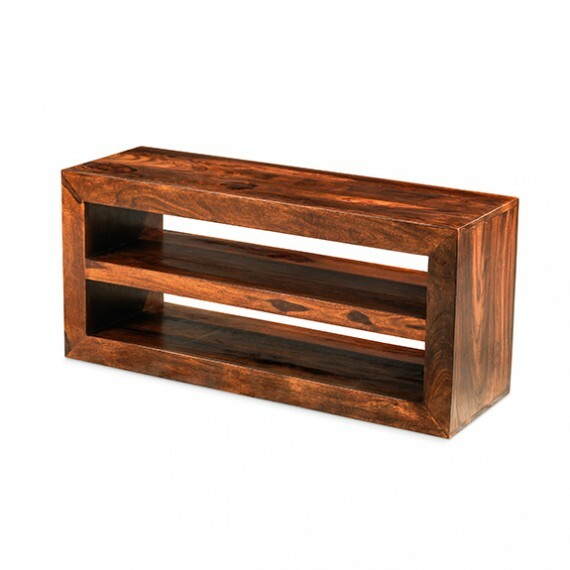 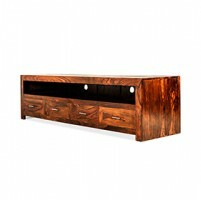 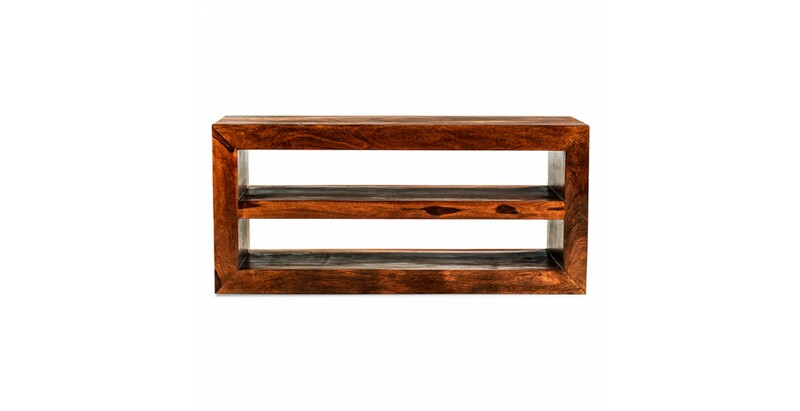 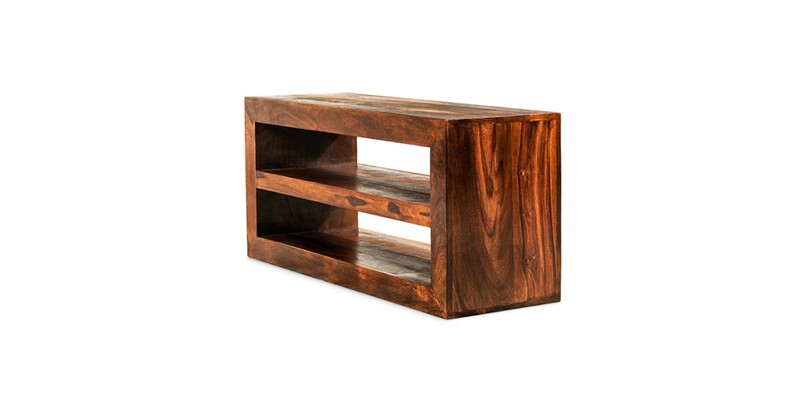 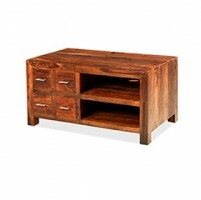 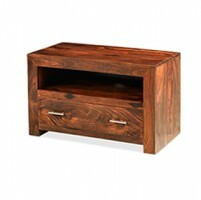 With unfussy, sleek-lined refinement, this gorgeous handcrafted unit is perfect for housing the TV of someone who appreciates contemporary design. 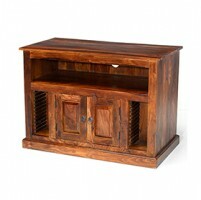 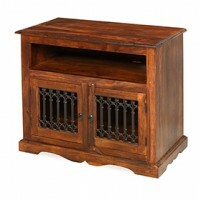 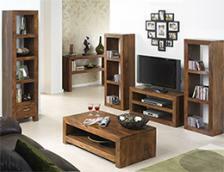 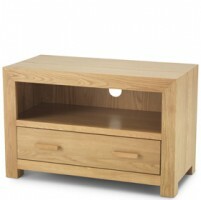 Wide enough to cope with the largest of sets, it also has two open shelves for your other media devices. 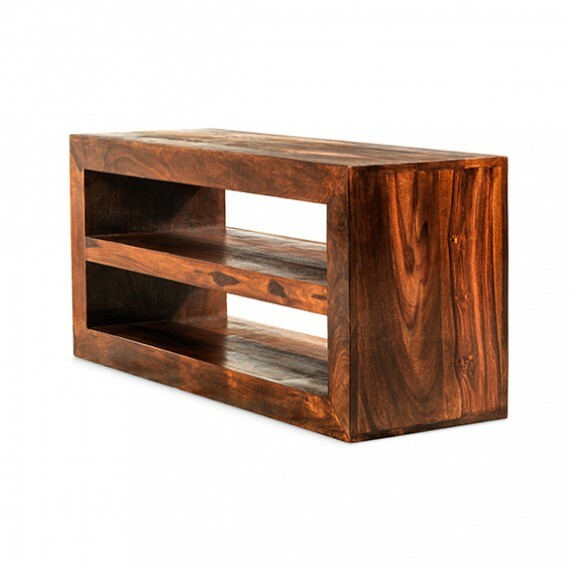 Its dark hues and spectacular grain patterns are shown at their best by the application of a natural wax lacquer which also emphasises its warmth and character.